It’s with a “heavy heart” that we announce the debut of our latest installment–quite literally! 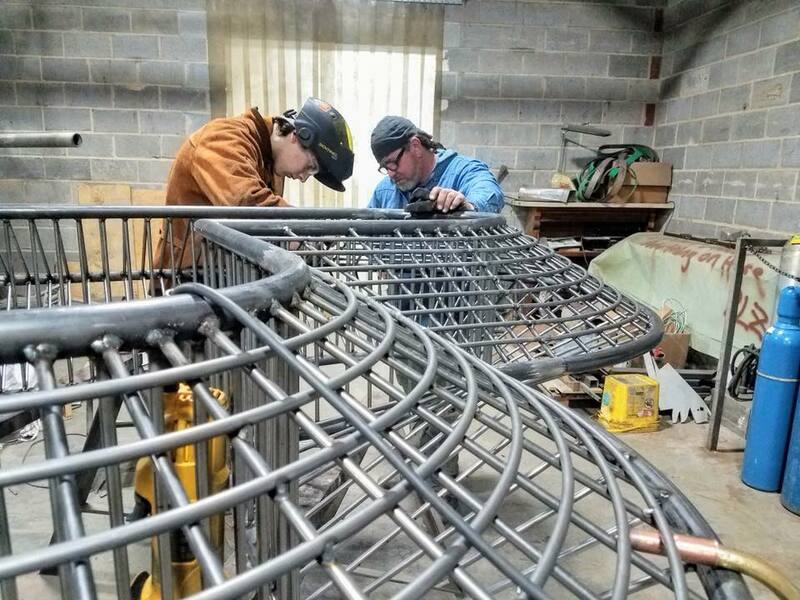 Our 400 pound galvanized steel “Heart of Downtown” sculpture will be unveiled on Valentine’s Day, the day on which Burlington was founded in 1893. When our beloved city began taking shape as a simple railroad town in the 1850s, iron and steel were the lifeblood of all business and trade. What better way to honor Burlington’s history and heritage than with a metal armature, calling back to the glory days of the iron horse? The longstanding tradition of love locks, thought to have hailed from China, symbolizes the steadfast commitment we make to one another, be it as lovers, neighbors, family, or friends. In that vein, we’re beyond excited to present the “Heart of Downtown” with an unveiling on February 14 at 6:00 pm in the courtyard between the Blend Coffee Shop and Steam Junction on East Front Street. Come out and help us put the “art” in “artery!” Mayor Ian Baltutis will open the ceremony with a few words, and a vow renewal service to follow. For couples looking to reaffirm your devotion (or any husbands still without V-day gifts) this is your opportunity to shine. Be sure to purchase a VIP ticket to reserve a colorful, customizable lock, sold here and on the Owl and the Rabbit Gallery. Let’s get pumped up to have a heart-warming good time!